We ski a lot of new and unusual stuff around here, but I was a bit terrified to get on these skis. (1) The Deathwish is a new design from MOMENT, it looks crazy, and I simply didn’t believe the guys at MOMENT that this ski would do what they claim without producing at least the occasional disastrous consequence. (2) It’s called the Deathwish. I go back and forth on whether this is the funniest or the worst name ever bestowed upon a new ski—taking an experimental design and calling it the Deathwish is a bit like calling a first generation, hydrogen-fueled car…the Fireball. Radically different from anything on the mountain, the Deathwish features our new Dirty Mustache profile: three separate camber sections along the midsection of the ski, with rocker at the tip and tail. We wanted that loose surfy feel that flat camber provides, plus tenacious edge grip when conditions turn for the worse. Dirty mustache makes it possible by concentrating your weight at four points when put on edge, giving you unprecedented bite in hardpack while smearing and slashing like a Twin Rocker design in powder. Mission accomplished? You tell us. I’m going to sidestep most of the discussion of the theoretical merits of this design—and how much sense it ought (or ought not) to make—and try to stick to what I experienced on snow. 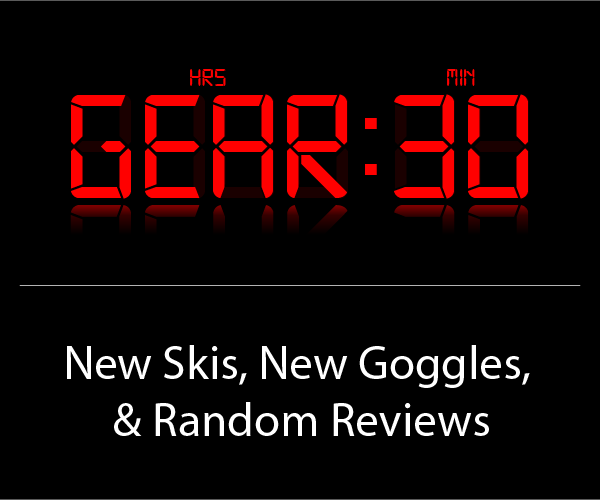 That was a great review on a very interesting ski. I am an east coast skier and I was thinking of getting either the PB&J or the deathwish. When directly compared which do you think would be best for the east coast (I am looking for good grip in hard condition as well as manageable in bumps). I would like something that can float pretty well when it does snow. I am 6′ 1″ 220 lbs, which of these to do you think is the better option. Thanks, Ian. I think you’re going to have to decide which is really the most important to you – (1) “good grip” (2) good in bumps (3) good flotation. The more you care about (1), the more I would actually recommend (at your height/weight) the 187 Belafonte. If (3) is the most important, then I would recommend the Deathwish – it’s the fattest at 112mm, and it is tip and tail rockered. The Belafonte does fine in a foot or so of pow, but it isn’t going to give you a surfy, loose ride if that’s what you’re looking for. As for (2), I didn’t notice a ton of difference between the 184 Deathwish and the 188 PB&J. I like them both in the bumps. But I’ve also come to like the Belafonte more and more in bumps, especially if you’re a very solid bumps skier. So if float is important, I’d suggest the Deathwish over the 101mm PB&J, especially since both are definitely “manageable” in bumps. I’m just a little reluctant to suggest that either will provide all the “grip” your looking for. But if you’ve got another carver for truly boilerplate days, then try that 190 Deathwish. Re Ian’s question; I got the PB&J late this (non)season and was able to ride it twice in 14-16″ fresh conditions. For my size, 5’11”, 220lbs, the relatively skinny 182 PB&J spent most of the time under the snow but it never stopped or slowed much. Its most remarkable trait was the ability to just turn on a dime at will, effortlessly changing turn shapes at will. Its grip in softer snow was fine; I never got it on hardpack. I no longer have the knees for bumps so no input there. Thank you both for the input. I keep hearing great things about the belafonte. It would be a shoe in except I like riding switch and doing spins. Although I am still pretty tempted because of all the good things said about it. It was good to hear an east coast perspective. I have ridden tail rockered skis and I know that because of the lack of tail there is an inherent lose of grip. As far as grip is concerned I just don’t want some thing that will let go unexpectedly. My only concern with the deathwish is that according to Moment it has a softer flex than the PB&J. Did that create a huge difference in its ability to ride through crud easily? 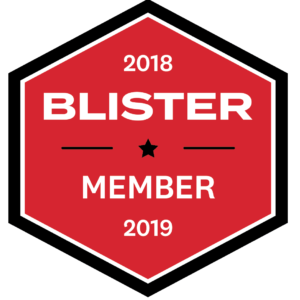 Again your website is brilliant and the whole BLISTER manifesto is a nice breathe of fresh air I look forward to seeing more reviews from you. Moment calls the Deathwish a 7, the PB&J (and Bibby Pro) an 8. That seems about right to me: the Deathwish is noticeably softer, but it itsn’t a world of difference. For charging, I would rather be on the PB&J or Bibby. On the Deathwish, I just needed to stay a bit lighter and more centered. I think a huge factor is, What’s your reference point? What skis have you liked, what are you currently skiing? If you’ve been on jib skis, the Deathwish may already feel more substantial than what you’re accustomed to, and you’ll dig it. When Andrew Gregovich wrote his review of the PB&J in the park, he definitely felt like it was a lot of ski, too much ski at times. M Van; I am glad to hear the PB& J has good hold. I don’t except it to lock into the turn quite like some other skis, but thats ok with me. Jonathan: As of now I ride very soft park skis (2009 Line anthem). They are fun at slow speeds but they are no good at any higher speed. Although of skis I have ridden my favorite have been the Volkl Mantra (2009) and the Blizzard Bonafide. The only reason I not considering either of those is because I would like a twin tipped ski. Also they are both just a smidge narrower then I would like. If I could have more skis in my quiver I would definitely include a directional stiff ski like one of those, but unfortunately I am a college student and I don’t have alot by means of cash. I am more inclined to get a ski that is a bit more versatile with regard to style of skiing. Given what you have said I am leaning a bit more towards the PB&J, even though the deathwish looks really interesting. Thanks for the awesome review on the deathwish. I live out west and ski wolf creek and i’m looking to get a new pair of skis. I’ve been checking out the Moment Bibby Pro and the Moment Deathwish. I want the ski to shine in powder, but for those times when skiing with the familia, i want a ski that’s good on groomers and bumps. Just how well does the Bibby hold up on groomers/bumps? Oh, and I’m 5’11” 145lbs. advanced skier and still growing. Thanks a bunch! Hi, Sam, I’m assuming that you’re talking about 184cm lengths in either the Bibby Pro or the Deathwish (please tell me if I’m wrong, as that would change my answer a little), I would prefer to ski the Deathwish in bumps, but I could certainly make due on either. And I don’t think that the Deathwish is world’s better or worse than the Bibby on groomers—the differences would feel more subtle. As for powder, the Bibby is a bit fatter (the 184cm is 116mm underfoot; the 190cm is 118 underfoot), but the Deathwish is more center-mounted than the Bibby, and that would be my bigger concern / question in powder. So if you do go with the Deathwish, you might mount back 1cm just to reduce tip dive for those big days at Wolf Creek. Ultimately, I think it really depends on where you you really want the ski to shine. Ok thanks. I want the ski to mainly shine in powder, so i guess the bibby pro is a little more powder specific. What ski has a better swing weight? Does the softer flex in the deathwish make it more playful and trickable ( not sure on the wording there.) thanks again! And if you haven’t already, be sure to take a look at Jason Hutchins’ review of the Deathwish. Let us know what you decide to do, and how it works out for you! Im looking to get the deathwish or bibby pro to ski resort but also a quite a bit of backcountry. Im about 5’10” – 5’11” 170lbs. Should I go with the 184 or 190. Thanks! Hi, Brady – with a bit more information I’d be able to give a better suggestion: what are you currently skiing on? Where do you ski? Are you skiing a bunch of moguls and tight trees, or do you spend more time in open terrain? 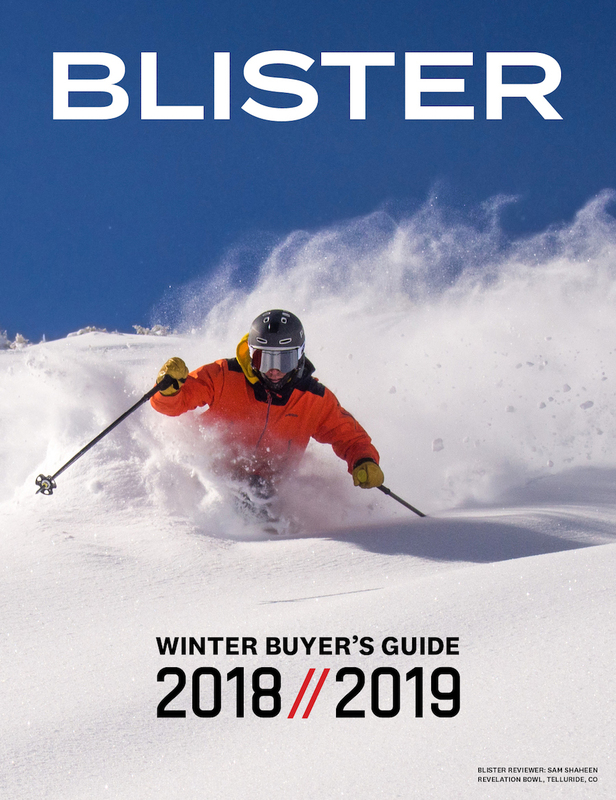 Are you someone who really wants less ski – a lighter ski – to tour on more easily, or are you willing to drag more ski up for the sake of better flotation on the way down? Your answers to those questions ought to help you decide whether the slightly shorter or slightly longer length would make more sense. Just wanted to throw it out there that my 184 Bibby Pros (’11/’12) are 18mm underfoot, not 16mm, as has often been referenced on this site. Hey, so I’m an 18 year old 6 ft 180 lb skier with a racing background who spends 80% of my time on the mountain throwing tricks off piste. I wouldn’t consider myself a big mountain charger type but I do ski some steep technical lines every now and then. So my question is should I go for the Deathwish or the Night Train? I’ve read up on both skis and I’m having trouble deciding. I’m looking for a surfy jibby kind of ski that I can take cat skiing and on powder kicker sessions but can handle variable conditions. Thanks in advance for any advice. Hi Jonathan, have you skied any lib tech skis (sorry “NASes”) with the magne-traction technology? If yes, would you say, the idea is comparable to the deathwish – although as I understand the magne-traction waves go alongside the sidewall, so the camber profile is still one with two contact points with the nas models? After all, as you posted some comments on tuning (eg MVP) is all this playing with edge or camber contact points more a “marketing thing” in order to bring something “new” to the consumer and is it stiffnes, amount of camber, tuning that matters? Or would you say – or assume – that if the deathwish was stiffer and more directional, the tripple camber would add to edge hold? Great review. What would be the biggest differences between the 190 deathwish and the rocker2 115 in 1) Groomed hardpack performance and 2) Soft Snow performance? Did they change anything from the 2012/13 model to the 2013/14 one? I have more of a general question concerning width. I see that you rate the PB&J and the DW the same for bumps or quickness, but give the DW the nod for float. It seems that the narrower waisted ski doesn’t really offer an advantages. I recently made a few runs on the K2 Shreditor 102 and 112 and didn’t notice any discernable difference between the two skis regarding their agility in the bumps or else where. Have I missed something here? Is there a reason a person would choose a pb&j/shreditor 102 over a DW/Shreditor 112 waisted ski? Thanks. Hi, Lloyd: you raise an interesting question. Here are a few reasons: (1) high angle carving. If that’s your thing, it is generally easier to set high edge angles on skinnier skis. If that isn’t your thing, then ignore #1. (2) Park skiing. ~112 is still pretty fat for hitting the terrain park. (3) Really firm, big bumps. I’ll typically opt for ~100 over ~112 here. But those are all certainly generalizations, and FAR more important than the 12mm difference in width in my book would be which ski’s shape and flex pattern and weight I liked better. Hi Jonathan! Just some quick info about me: 5″11′, 160lbs (pretty lightweight), ski the Swiss and French Alps (Valais, Portes de Soleil, Val D’isere/Tignes), currently own 179 Line Propet 98s 12/13. I ski fast and aggressive, however I do like pulling quick turns. I am looking for a powder ski, however I am looking for a powder ski that will perform well on the groomers as I am a resort skier, I tend to look for powder off the piste a lot, etc. so groomers to get there and what not. I am stuck between the Norwalk, Deathwishes and the Liberty Origins (which I hope you review!) as I want a fat ski but not too fat to take away its performance on the groomers. I really love the Deathwishes 3 camber design and looks to be a lot of fun carving on the groomers with its width, however my only gripe is that it might be too narrow to be more fun than my 98s in Powder. The thing is I don’t think I need a really wide ski to handle deep powder as I am a pretty good skier who can handle his 98s well in some pretty deep pow. Given this, I am thinking I can handle 112s just fine in powder whilst still getting a more floatly feel. Can you comment on this and guide me? Should I opt for 112s as I want a good groomer powder ski as well, or should I just opt for a wider ski lets say at 120 (à la Pettitor or Bent Chetler) given that I have a 98 ski already. And one last thing! Despite only weighing 70/71 kilos am I still able to handle 190cm skis to my ability? I feel like since I’m light I won’t be able to control them to my liking as much if I have a 190 ski.Great review as always cheers! Also I am comfortable with the Deathwishes being more playful as I think I will try new things this year, so that’s not a problem so its still in picture in that aspect. Thanks again! Regards from Switzerland. 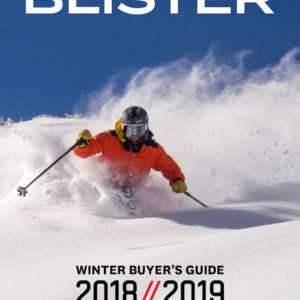 All of the other blister gear reviewers, including your self, reviewed the Deathwishes with the Marker Jester bindings. I have been looking around and have only been able to find 110mm and 130mm Marker Jester bindings. With the deathwish being 112mm underfoot what size of the marker jester bindings did you use? Thanks! def use 110..you probably will not have to or just barely bend them. Thanks for all you do with your reviews. It has helped me immensely making decisions on skiing gear and understanding the pro’s and con’s of different types of skis. I just bought a pair of Moment Deathwish 174’s after demo day at Alta. I am 5′-8″ 150lbs and a level 7-8 skier. I just started skiing 3 years ago and get in about 15 days a year. I snowboarded for the 20 years previous to skiing and had never skied before that. I bought a pair of Solomon Rocker 2 108’s at 174cm a couple of years ago and absolutely loved them. 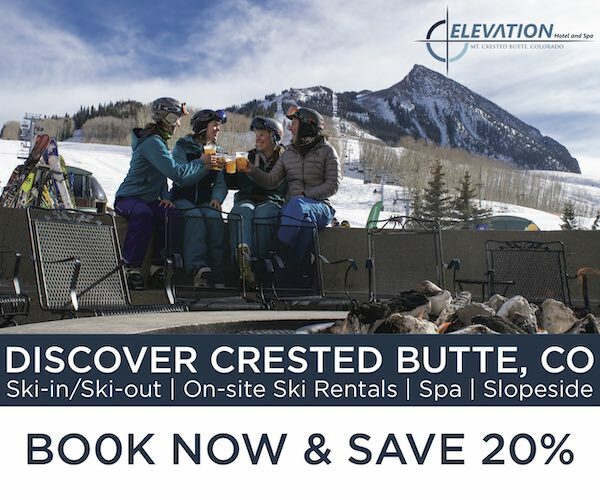 I ski mostly Alta, with 1 week sessions at Crested Butte, Beaver Creek, and Wolf creek. My point of view is as a “less then expert skier”. I was able to ski chopped up firm crusty crud faster & more confidently than with my Rocker2 108’s. The other most notable improvements for me were more confidence at higher speeds on roughed up groomers, and the ability to work through bumps and tight gully lines. The Deathwish is a more damp ski at higher speeds than my Rocker 2 108’s. On runs like No. 9 Express off Supreme I have to do some heavy carving to keep my speed in check until I’m mid way down and feel confident enough to straight line the remaining 1/2. Initially when I went down No. 9 Express and did a some full side turns to check speed the ski’s almost bucketed me over because they have a much greater edge hold than my Rocker 2 108’s which effortlessly slid down smoothly till I transitioned to the next turn. I was able to compensate for this quickly by not pressing so hard into the turn. My impression is that this ski does much better the straighter line you take on steeper hard-pack terrain and is a very confident inspiring ski going fast. I always felt more comfortable going straighter and faster on steeper terrain than turning the ski too far against the fall line. In soft bumped up snow it was an absolute blast. I didn’t see much powder this past weekend but some of the wind loaded snow off of Catherine’s was deep enough to conclude that it should be good for me in powder as well. I have had some nice powder days on the Rocker 2 108’s and they were as perfect as I can imagine a ski being. I’m hoping the Deathwish delivers the same performance. Hi Jonathan. I just finished digesting the new “Blister Bible”…what a great resource! I live in GA, so I don’t get to spend a lot of time on snow trying out different skis. You guys are a huge help. I’m looking to replace my Supernatural 108’s (186) this year with something a little easier to handle in trees and at slower speeds. Your reviews of that ski were spot on, but I guess I may have overestimated my abilities because I struggle with it a bit in bumps, trees, etc. I have also found that if conditions are soft at all I have more fun on my 190 Bibby’s (love that ski!). 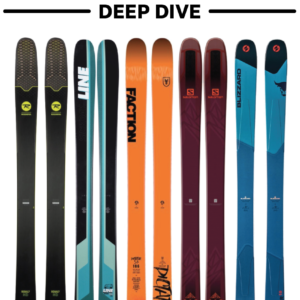 I’m a directional skier, but my love for the Bibby has me looking at some of the more freestyle oriented skis to use as my all mountain everyday type of ski (this may not be the right assumption). So I’m looking for something that will hold up well at speed like the SN 108 (as close as possible), but will also be a little quicker/easier at slower speeds. I’m eyeballing the Deathwish, Meridian, and Kartel 108. I don’t know if you have skied the Meridian yet, but I was wondering why someone might choose one over the other? It may be that I need to be looking at an entirely different type of ski? I have a 177 Kendo for groomer/bump days, so that end of the spectrum is covered. And as you’ve mentioned, that ski doesn’t shine off piste. I’m 5’10” 185 if that info helps. Thanks in advance for your help. Cheers!